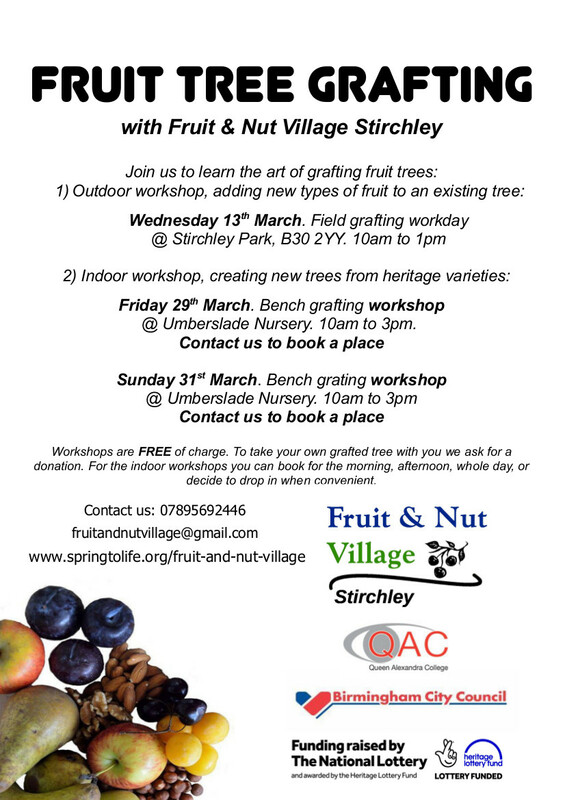 Join us at the ‘village’ to learn how to graft fruit trees. 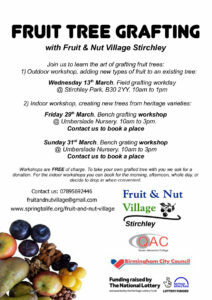 If you have have done it before, come along to help us create new tree stock of heritage varieties for our communities. This entry was posted on Monday, March 18th, 2019 at 10:44 am	and is filed under News. You can follow any responses to this entry through the RSS 2.0 feed. You can leave a response, or trackback from your own site.